With over 2 million windows and doors produced since 1961 and over thousands of products installed by our certified installers, who else would you trust? For three generations we've focused on the needs of our customers by manufacturing high-quality window and doors. We provide builders, renovators and homeowners with quality made products for every residential need. We are now offering financing with affordable monthly payments or a deferred payment, no interest option for installed products. Take advantage of home comfort and energy savings without the upfront costs. 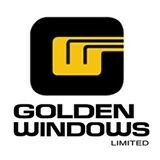 When you're ready for windows and doors, see what Golden has to offer! Please visit one of our showrooms in Kitchener, London or Ottawa (Kanata) or call us at 1-800-265-2290. Established in 1957, Beingessner Home Exteriors is a 3rd generation, family-run business located in the quaint village of St. Jacobs. 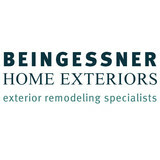 Beingessner's specializes in a long list of exterior remodeling products for your home. They include: vinyl replacement windows, steel & fiberglass insulated door systems, patio & garden door systems, sidings, eavestroughs, railings & columns, awnings, exterior window shutters, interior California shutters, three-season sunrooms and more. We have fully trained & certified installers and offer a Lifetime Workmanship Warranty. We are a proud member of the Siding & Window Dealer's Association of Canada and a supporting member of Window Wise. 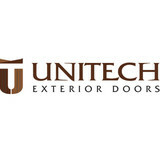 VDK Exterior Doors is a door manufacturing company specializing is large custom high end entrance doors. VDK Exterior Doors is a family-owned and operated business, we commit ourselves to provide quality and long lasting exterior door systems. Featuring exquisite curves and craftsmanship while using today's best materials and highest standards in assembly and finishes, each project is designed to last. Heritage Renovations Windows & Doors provide window and door installation from great brands like Gentek, LaFlamme, North Star, MDL, Tru-Tech, Dorplex, Strassburger, Mirage Retractable Screens, Sunspace. Synergy builds windows and doors for both the luxury home and premium commercial project. Our product line included casements, sliding sash, fixed sash, specialty windows and a full offering of entrance, gliding, hinged and folding and sliding patio doors. Our high performance aluminum clad or all wood windows don’t just look good, they offer unbeatable energy-efficiency and service life. With proper maintenance they will last a lifetime. 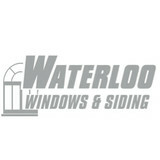 We look forward to being a part of your window or door project. Design, sales, production, entry systems; iron entry residential doors, iron retail doors, driveway gates, commercial chain link cantilever gates, Aviation hangar doors, agriculture barn doors. Door hardware and accessories. Our focus at Hudson Group is on providing quality parking equipment, revenue control, sliding and swing gates, access control, and physical and electronic security. We supply solutions to our customers and bring innovative new ideas and superior products to your business. We represent a wide range of manufacturers, suppliers and strategic partners to provide you with the best customized solution tailored to fit your needs and budget. Our head office is strategically located in London, Ontario allowing us to service clients all over South Western Ontario. GoldStar Doors London Company provides high quality doors replacement or installation service for your home improvement by certified door professionals. Our home renovation company serving London and whole Ontario with Fiberglass Door, Front Door, Patio Door, Custom Made Shapes, Lifetime Warranty, Reasonable Price. Our goal at Wisebuys is to make your renovation as easy as possible. Whether you are replacing your exterior doors or windows, or completely renovating your kitchen or bathroom, the Wisebuys staff are here to help. We have the perfect solution for your home. We price our products fairly and work hard to make sure that our customers get exactly what they order. We're committed to helping you figure out what best fits your needs and budget. We're happy to answer all of your questions and to give you a free quote. Visit our Clearance Centre tab regularly to view our special discounts and offers. At TruView Windows & Doors Inc., we put our customers first. From our free in-home consultations to the displays in our showroom we strive to help you make the right decisions for your home. TruView offers excellent products, great service and outstanding value. With each project, our professional installers take pride in providing worry-free experience in a timely fashion. Our workmanship is backed by a 5 year warranty. From compromising your homes security to increasing heating and cooling costs, an improperly installed or damaged door can cost you. Exterior doors, such as front doors, need to be tough against the elements but easy on the eyes; interior doors need to blend in with your existing aesthetic, but also function well for each room they are selected for. Needless to say, door decisions can be daunting; luckily, door dealers and installers in London, ON can help you select, design and install doors that are perfect for your home! What kind of services do London door dealers provide? Door dealers are responsible for a variety of services, including door installation, replacement, door repair and custom door design. If you need a new door, London, ON door dealers will help you determine what kind you need, as well as shape, color, size and more. From barn doors to French doors to front doors, these professionals can help you choose, install and maintain your door investments. Wood doors are beautiful, versatile and tend to be the most popular choice for both interior and exterior doors; they are easy to custom build, and include oak, cherry, walnut, mahogany, maple, fir and pine. Some standard wood doors have MDF cores wrapped in wood veneers, which minimizes the chances of warping as real wood expands when wet and contracts when dry. If your heart is set on a wood door but you think the London, ON climate might cause it to warp, talk to your door professional about a furniture-grade veneered door. Aluminum doors have an insulated core and come in a variety of colors and finishes. With a baked-on enamel finish, they won’t rust or need repainting, and many come with a 20-year warranty. Next to wood they are the most expensive and have to be custom-made. A London, ON door dealer can help you find a reputable aluminum door manufacturer. Find door dealers and installers in London, ON on Houzz. Look in the Professionals section of our website and search for London, ON door dealers and installers. Read reviews, look at project photos and see how a pro can help with your home improvement project.